In every lesson, the following sections are present: Text, New Words, Notes, Conversation Practice, Reading Comprehension, Phonetics, Grammar, Characters and Cultural Notes. 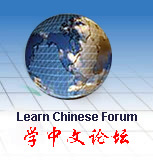 The book uses several fictional characters in different situations to make the Chinese learning experience more enjoyable. The series consists of seventy lessons in six volumes. The first four volumes, consisting of fifty lessons, are for beginners and pre-intermediate level learners. The last two contain twenty lessons for learners at an intermediate to advanced level. This is New Practical Chinese Reader Textbook Vol.6.